Ah sleep. That beautiful thing that signifies the end of a busy day, and a time to recuperate and re-energise. Your head hits the pillow, and Mr Sandman fills your head with restful dreams. After the recommended eight hours, you are peacefully transitioned into a new day. Or maybe not. 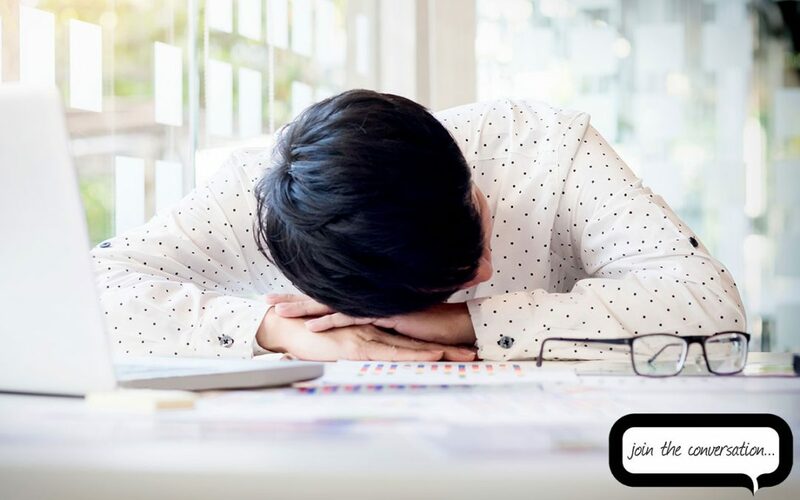 As a business owner, you are probably jumping into bed knowing that you need sleep, but are overwhelmed with the pressures of the day. Your head hits the pillow and instead of being lulled to sleep with peaceful dreams, you toss and turn thinking about all the things you should have done, and what you need to still do. As the glow of your phone indicates that it is well past midnight, sleep seems impossible. Not being able to fall asleep is one of life’s frustrating experiences. As you lay there, you feel as though you have been robbed, especially when you have made the effort to get to bed at a reasonable hour. The good news is that it is not a lost cause. There are a few tried and tested activities you can do that will set you up for a restful night. Do you consume caffeine late in the day? Caffeine can linger in your body for three to five hours, meaning that cup of coffee or can of coke you had a 5pm could still have a stimulating effect at 10pm. Try limiting your caffeine intake and ensure you don’t have any energy hits after 3pm. Do you scroll Facebook or check out Netflix right before bed? That blue hue your screen permeates disrupts your melatonin which is a hormone produced by your body that enables you to fall asleep when it is dark. Avoid using any screens an hour before you want to sleep. If you can’t avoid checking emails, or other screen related activities, make sure you have some sort of blue filter. Do you exercise each day? According to the National Sleep Foundation (yes, sleep is that important that there is a National Foundation); people sleep significantly better if they get at least 10 minutes of exercise each day. Essentially, if you don’t use your body during the day, your body will decide that it doesn’t need to rest and restore itself. Exercise is one of the best things you can do to ensure you get a good night’s sleep. Fresh air also helps. Do you go to bed and wake up at the same time each day? A set routine is crucial for setting the right cycle for your body when it comes to going to sleep and waking up. If you go to bed and wake up at the same time every day, your body will start to anticipate these events and do what it needs to do to prepare. In the case of a regular bed time, you will start to relax and feel sleepy. Just what is required for falling asleep. What do you snack on before bed? Research suggests that a carby snack can aid in regulating your circadian rhythm and possibly increase the tryptophan in your blood, which induces sleep. Snacking on a banana, piece of bread, bowl of cereal or even a spoon full of peanut butter can help. There is also something in that old wives’ tale of a warm glass of milk aiding sleep. Milk contains tryptophan and calcium, which both help regulate the production of sleep-inducing melatonin. But whatever you do, avoid a full meal right before bed. Ramping up your digestion process will only keep you awake. When it comes to sleep, the right environment is key. Ensuring you have soft and clean linen, a comfy pillow and supportive mattress are no brainers when it comes to setting the scene for sleep. You can also make your bedroom darker with some block out blinds, adjust the temperature of your room to be slightly cooler, declutter your bedside table and remove any distracting items, particularly technology. The idea is that you make the bedroom and your bed an ideal place for rest (and other things when the mood is right). By adjusting these things, you are helping your mind understand that this is a place for rest and recuperation. According to an article on one of my favourite websites, The Art of Manliness, the ability to fall asleep can be taught, just like any other skill. But it all comes back to learning how to relax both your body and mind. As a business owner, it is understandable that stress is often at the root of sleepless nights and relentless tossing and turning. Simple de-stress techniques and relaxation exercises before bed could be just what you need. The article from the website mentioned above will take you through very specific steps when it comes to relaxing the mind and body, but you could also try simply taking a bath, listening to relaxing music, doing a few stretches or writing down some thoughts. If all else fails, and you find yourself staring at the ceiling in the wee hours of the morning, turn the not so good situation into an opportunity. Use the quiet and alone time to read a book, do some soul searching or a bit of life planning, maybe you could even write a poem. But whatever you do, don’t get anxious about not being able to fall asleep. This will only make falling asleep the next night an anxiety-inducing event, which could set you on a path of insomnia. Sure, you might be a bit more tired the next day, but it is just one sleepless night. Sleep is important for so many reasons. As a business owner, you need your sleep to ensure you remain at the top of your game. So, what changes can you make to your daily routine to improve your chances of falling asleep tonight? By the way, if you are reading this in bed, make sure you turn your phone or laptop off… now.